There is always something new to learn and see in nature. 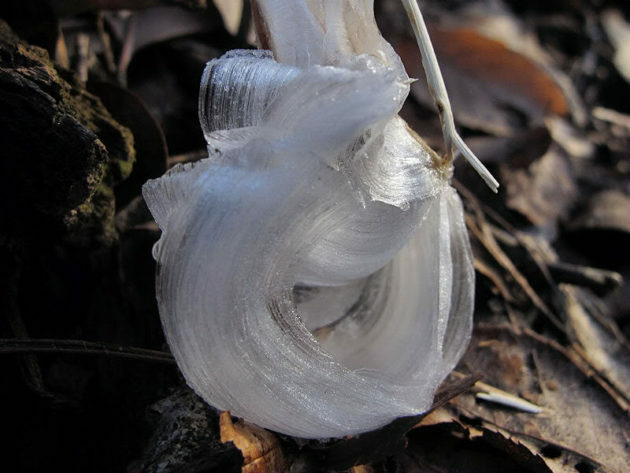 The first thing I learned is that frost flowers are not real flowers at all. They are formed in late fall or early winter when the ground is not frozen. The freezing temperatures make the sap expand inside the plant’s stem. This expansion causes thin cracks in the stem. 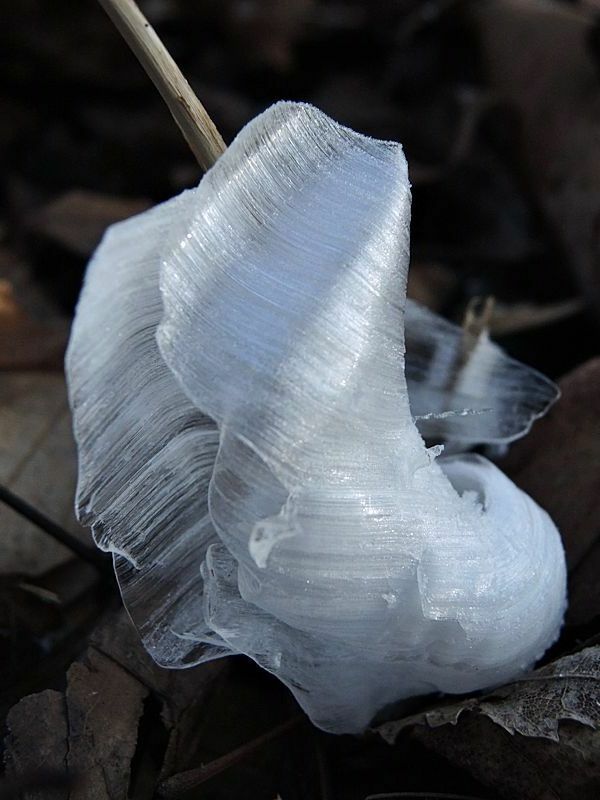 As more sap rises in the stem, the sap freezes on contact with the cold air and ribbons of ice crystals form. 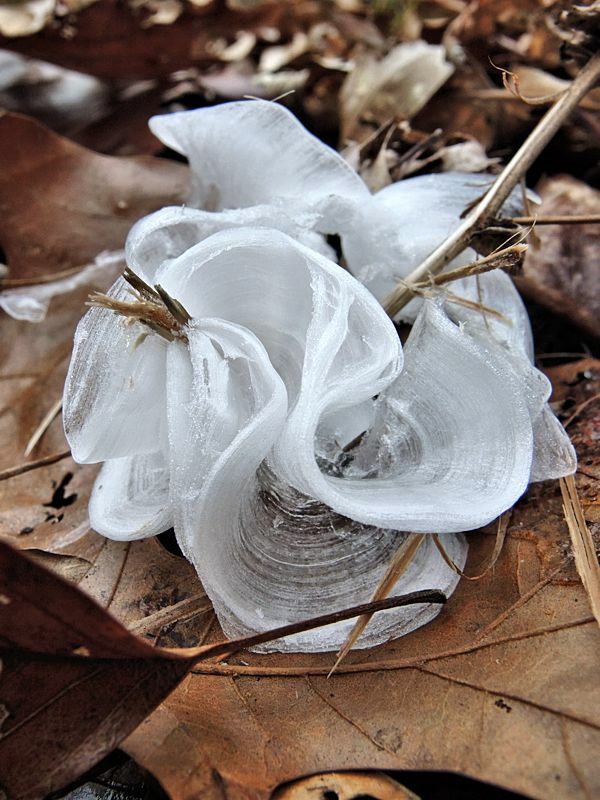 The frost flower will soon disappear as the sun warms the plant and air around it. This delicate beauty will be gone as quick as it appeared. 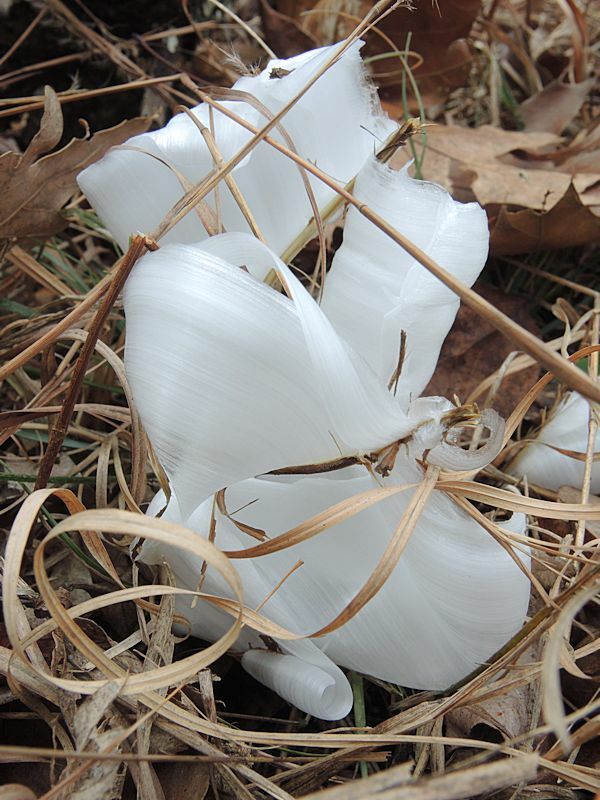 The “bloom” time of frost flowers may have passed with the freezing temperatures the second week of December. But don’t let that persuade you to not wake early and peer outside to see what the beauty of nature holds today. “Walking in the woods with a camera nearly every day for the last 10 years is a good way to develop an eye (for nature’s beauty),” said Andi Ferguson, photographer, Sycamore member, and frequent sharer of nature photos on Twitter @AndiFerguson1. Photos by Andi Ferguson, Sycamore member and documenter of nature’s loveliness.